Technology and mechanics enthusiasts might agree that engines are very cool — and they also know how fussy they get when running into cooling problems. When it comes to aircraft propulsion, overheating is not an option. Most planes can’t fly safely without an engine, so why run the risk of overheating? While current engine designs limit that risk using clever cooling systems, another path to solve this problem would be to design more energy-efficient engines, exempt from excessive heat release. Let’s have a look at modeling heat transfer in a turbine stator blade, as well as discuss the evolution of aviation propulsion. Axial turbomachines, commonly found in aircraft engines like turbojets or turbofans, typically incorporate sequential pairs of rotating and stationary blades, called stages. The turbine located downstream of the combustion chamber is usually made of one or a few stages. It’s designed to turn the intense heat and pressure contained in the exhaust gases into both thrust and torque power. The former is provided by high-momentum gas exhaust through a nozzle, while the latter is used to make the turbomachine rotate around its shaft. Both rotating and stationary blades, also referred to as rotor and stator blades, must be able to endure the extreme pressure and temperature conditions within the turbine. A compressor bleed air system, distinct from service bleed air, provides cooling airflow through internal ducts to reduce these thermal stresses and control blade deformation. In the “Modeling Heat Transfer in a Turbine Stator Blade” video below, we evaluate the displacement, temperature, and stress in a stator blade model using the Thermal Stress interface in COMSOL Multiphysics. Jet A contains a lot of energy per unit mass, but also per unit volume, making it possible for a given aircraft to fly more passengers or cargo, and over longer distances, without bulky tanks required in natural gas-powered airplanes. Even though it’s dangerous under certain conditions, its normal operating conditions are relatively safe compared to most kinds of fuel. It’s an ideal heat source for gas turbines, which turn the heat generated in a combustion chamber into mechanical and propulsion power used in many jet engine types (turbojets, turbofans, turboprops, and so on). Those three advantages of Jet A powered engines have enabled technological refinements and cost optimization that have set sharp technical and economic standards ruling aviation propulsion. Any new type of aircraft engine would have to match or exceed these standards in order to compete successfully against gas turbines. The recent advances in turbine efficiency, performance, and fuel economy have been driven by the need for sheer performance enhancements (supersonic or transonic cruise, heavy load transport, extended range operations); and by rising oil costs and the advent of relatively expensive — but more environmentally friendly — biofuels. Due to Carnot’s theorem, which states that the efficiency of thermodynamic cycles relies on the temperature ratio between hot and cold heat sources, newer engine design relies on higher combustion temperatures. 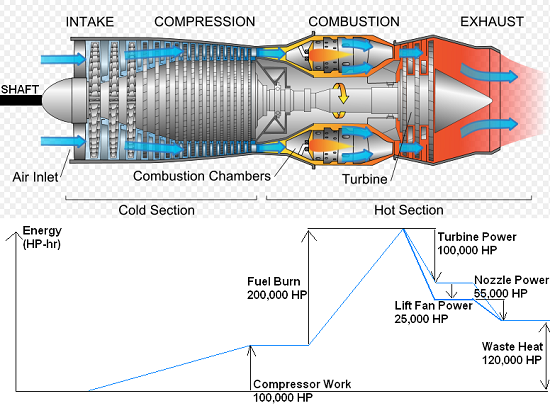 As we can deduce from the above image, modern jet engine turbines are subjected to propulsion gas temperatures higher than the normal limits of operations for their constitutive parts. This can be achieved only through efficient cooling of turbine parts that come into contact with the hot flow, including blades (protected by internal and external cooling) and rings. 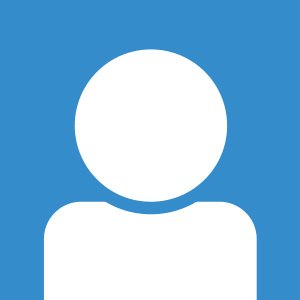 Hi, How can I get the contact information for the author Stephan Savarese? If you have any modeling questions, please contact support@comsol.com.